On sale now – order today! 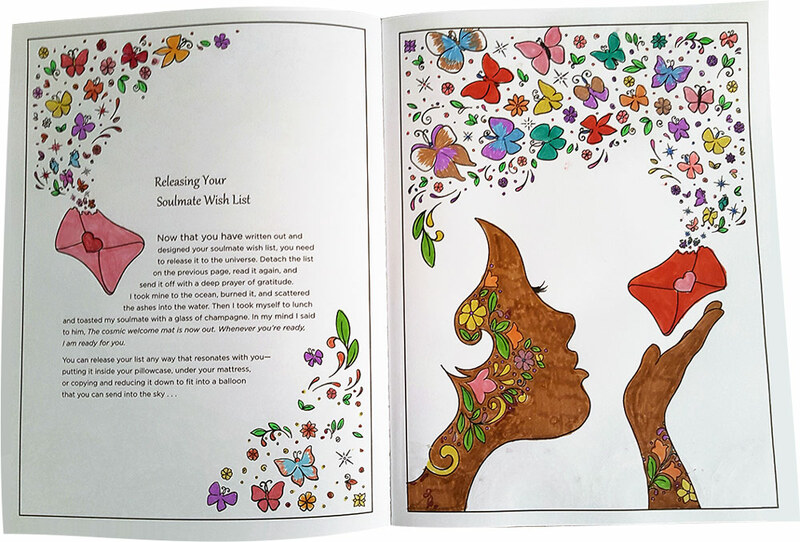 Based on Arielle’s international bestselling book, The Soulmate Secret: Manifest The Love Of Your Life With The Law Of Attraction, this brand new coloring book will help you shift your frequency to a level which is magnetic to the love you desire — in 10 minutes a day with a cup of tea and your favorite set of coloring pens! This process works for both women and men, from 18 to 88. 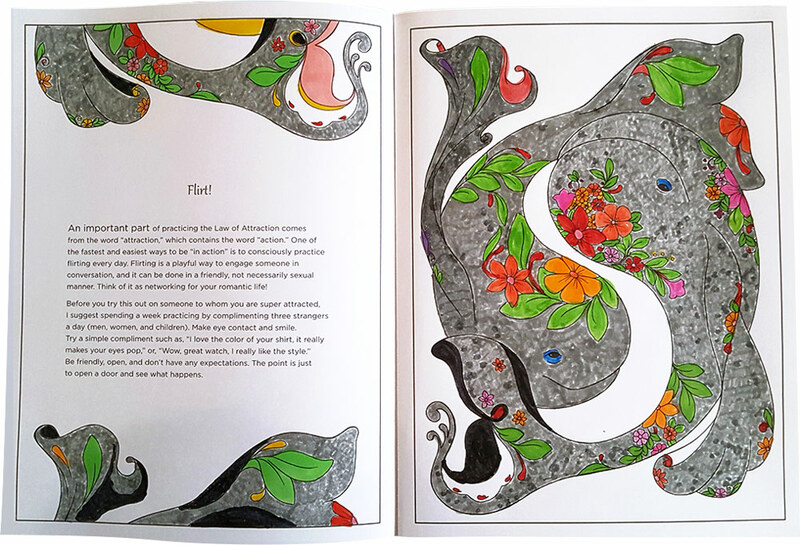 As you focus on the powerful original artwork of artist Manja Burton, you will find yourself effortlessly being led through the step-by-step process outlined in Arielle’s book. 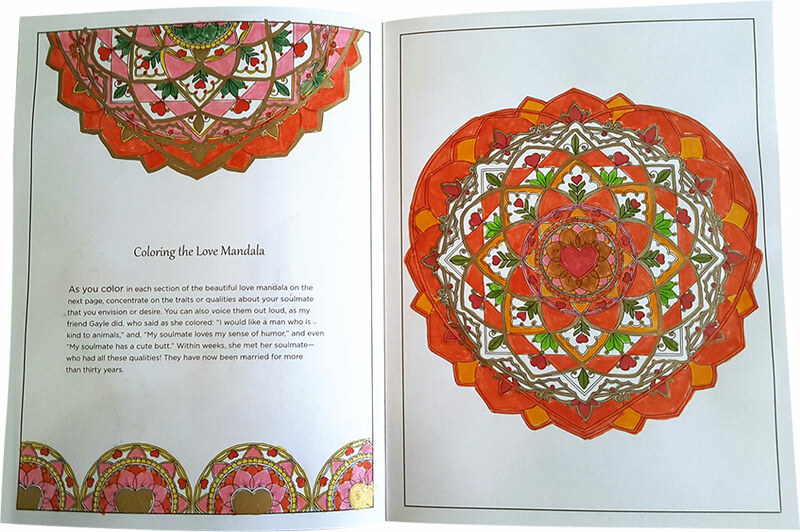 You will find yourself gently gaining clarity, strengthening your love intention and finally manifesting power when you color your Love Mandala. Each of the symbols is coded with ancient, sacred, spiritual keys that quicken the manifesting process in a way that bypasses the blocks in your unconscious mind. To access the inkSpirations video, please sign up for our newsletter. 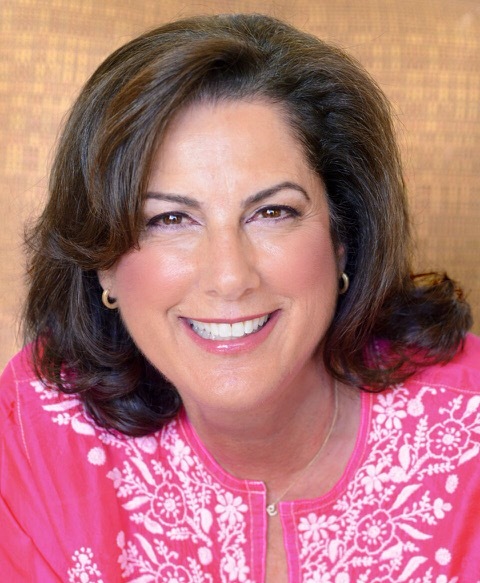 Arielle is a gifted writer and the author of eleven books including the international bestseller, THE SOULMATE SECRET: Manifest The Love of Your Life With The Law of Attraction. 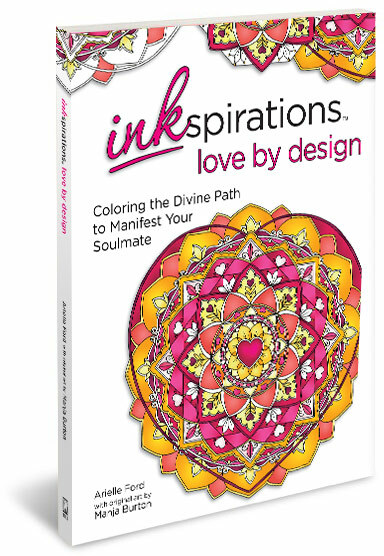 Her latest book is Inkspirations Love by Design a unique, transformational coloring book. Arielle lives in La Jolla, CA with her husband/soulmate, Brian Hilliard and their feline friends. Join her newsletter at www.soulmatesecret.com or find her at www.facebook.com/soulmatesecret.